SCMO met with the SELFKEY FOUNDATION in Hong Kong, a KYC application built on blockchain technology. It will launch its USD 20 million hard cap "public ICO" on 15.01.2018, with a USD 2.5 million soft cap, while it has already raised USD 15 million between the "private pre-sale" and the "public pre-sale". To be more precise, SELFKEY is a blockchain based digital identity system that allows individuals and companies to truly own, control and manage their digital identity, and instantly access citizenship and residency by investment, company incorporation, fintech products, token sales, exchanges, and much more. SCMO introduced blockchain to SPQ ASIA CAPITAL in Hong Kong. SCMO introduced blockchain to BONDSON TECHNOLOGY in Hong Kong. SCMO attended the "GOALS Green Technology Seminar" organized by WGO - WORLD GREEN ORGANIZATION in Hong Kong. Green Technology (Greentech) helps to reduce adverse effects on the environment as well as improving productivity, efficiency and operation performance. In response to the actively sought on green initiative, the World Green Organisation (WGO) invited experts from different sectors, including aircraft, electric vehicle and information technology, to share their ideas and best practices on how to reducing energy consumption or contributing to environmental sustainability by the application of Greentech. With the rapid advancement of environmental science and technology, companies are able to remain competitive with an environmental friendly and cost effective solution. On the occasion, the tree-planting activities organized by WGO and how corporations can be a part in the carbon offset will also be introduced. 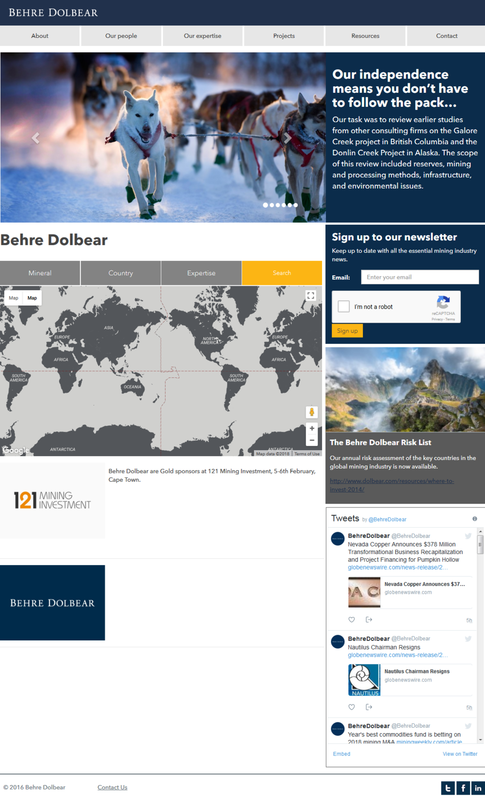 SCMO introduced blockchain to BEHRE DOLBEAR in Hong Kong. and an amazing forthcoming year! SCMO attended the "Geopolitical Risk Forecast: Crisis and Opportunity in 2018” discussion organized in Hong Kong by CRISIS GROUP. International Crisis Group is an independent policy organisation that acts to prevent wars breaking out and helps to shape peace processes in more than 40 conflicts and countries. We are unique, working through deep field research, writing comprehensive reports and bringing our timely analysis to top policy makers in person. Jean-Marie Guéhenno was until his appointment as President of the International Crisis Group in 2014 the Arnold Saltzman Professor of Professional Practice at Columbia University and Director of its centre for international conflict resolution. He is also a member of the High-Level advisory board on mediation recently created by the Secretary-General of the UN, and a Distinguished Fellow at the Brookings Institution. In 2012, he was appointed Deputy Joint Special Envoy of the United Nations and the Arab League for Syria. He left that position to chair the commission appointed by President François Hollande to review the French Defense and National Security Posture. Between 2000 and 2008, he served as the United Nations’ Under Secretary-General for Peacekeeping Operations and held the position of Chairman of the Institut des Hautes Études de Défense Nationale. 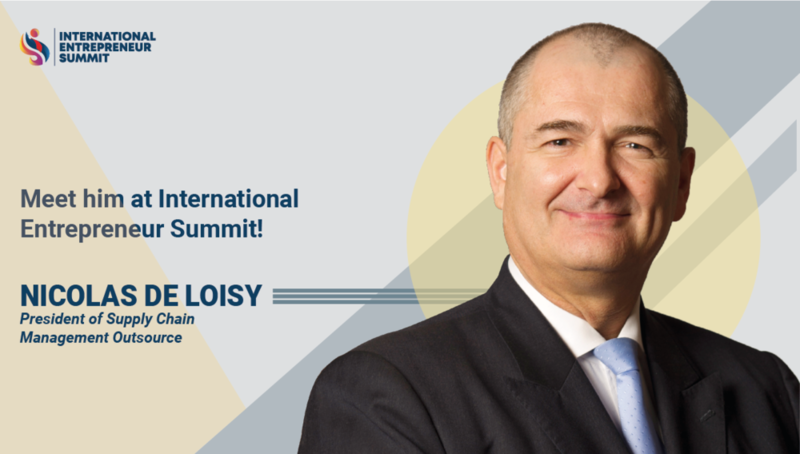 He previously served as Director of the French policy planning staff and as Ambassador to the Western European Union. Mr. Guéhenno shared his analysis on the international outlook for next year. SCMO attended SARA BEATTIE Christmas cocktail party in Hong Kong. SCMO presented its "Introduction to Blockchain" presentation to SWIFT in Hong Kong. To promote regional cooperation among countries along the Belt and Road, to strengthen connections with consulate generals in Hong Kong, and to celebrate Christmas together, CHINA DAILY ASIA LEADERSHIP ROUNDTABLE invited SCMO to attend the China Daily Asia Leadership Roundtable “Belt and Road Networking Reception”. This event brought together consul-generals in Hong Kong, CEOs and around 200 C-level senior executives from Fortune Global 500 and China 500 companies, think tanks, academics and media practitioners from public and private sectors across Asia. It was also open to local and international media. SCMO was briefly interviewed regarding its involvement on the "Belt and Road Initiative" and our projects in its deployment. A few lines were present in a CHINA DAILY article about SCMO. SCMO attended R3 seminar in Hong Kong, where was presented the latest version of CORDA 2.0, its specificities, and its advantages in the blockchain world for facilitating both blockchain and non-blockchain applications, despite not being a blockchain application. SCMO attended "Wanchain Cross-Chain Smart Contracts" organized by the BLOCKCHAIN ASSOCIATION OF HONG KONG in Hong Kong. SCMO attended the "Hong Kong - London Financial Services Forum 2017: Open Seminar" organized by HKMA - HONG KONG MONETARY AUTHORITY and HM TREASURY OF UNITED KINGDOM in Hong Kong. Launched in 2012, the Forum aims to further deepen and broaden financial cooperation between financial institutions in Hong Kong and the UK. This year, the half-day open seminar covered the latest development surrounding financial liberalisation in Mainland China, the Belt and Road Initiative, green finance, and fintech. SCMO attended the cocktail party of the BRITISH CONSULATE GENERAL in HONG KONG and MACAO SARs, in Hong Kong. SCMO assisted FMC EXHIBITION for their forthcoming "Belt & Road International Food Expo" in June 2018 in Hong Kong. SCMO met with CRRC - CHINA RAILWAYS ROLLING STOCK CORPORATION in Hong Kong. 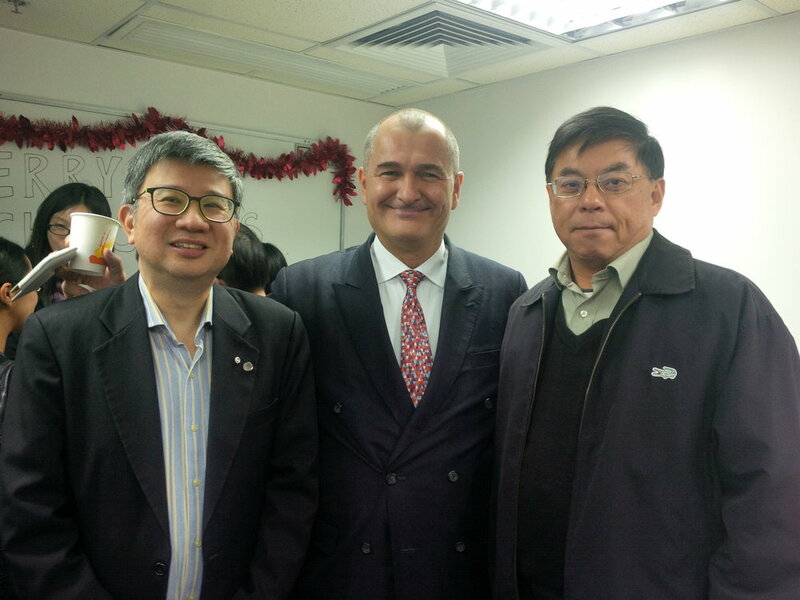 SCMO attended DEACONS Christmas cocktail party in Hong Kong. SCMO attended LANTAU GROUP yearly cocktail party in Hong Kong. The LANTAU GROUP team and network of affiliates provide expert economic and commercial consulting services to businesses and governments throughout the Asia Pacific region. They have deep expertise in the energy and infrastructure sectors, in regulatory economics and competition, and in commercial opportunity assessment.